Heating and cooling make up about half of the average American household’s annual utility bill, according to the U.S. Department of Energy. Having greater control over your thermostat helps you save money, conserve energy and increase comfort — and using a smart thermostat is one of the best ways to do this. A smart thermostat is an easy to use, Wi-Fi-enabled device you control remotely using a smartphone, tablet or smart speaker. It allows you to program your thermostat to adjust the temperature depending on the time of day, the season, whether you are home or away and other factors. It also tracks and records how much energy you are using, making it easier to conserve more and spend less. 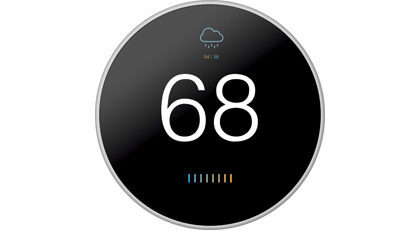 We offer property owners a $50 rebate towards the purchase and installation of any qualifying smart thermostat. This rebate is available whether you install it yourself or hire a contractor to do the work. The rebate is limited to one per heating system or a maximum of two rebates per home or living unit. Not Eligible: Thermostats that control cooling-only systems or dual fuel heating systems (such as a gas furnace with an electric heat pump). Simply fill out the smart thermostat relevant application below and submit it to us.